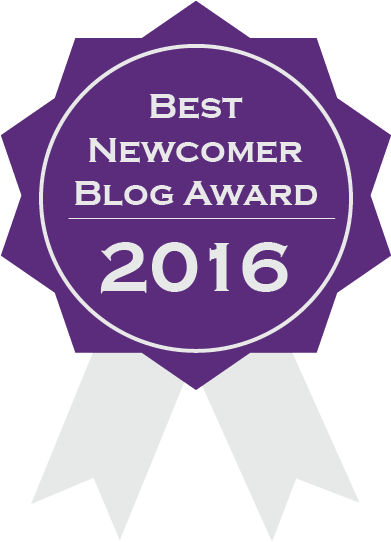 I know it is a little late, but I think I am still overwhelmed at the idea that one week ago, I actually won the Best Newcomer 2016 Bloggers Bash award and it is only now sinking in! Never in a million years did I think I would win this award — especially after seeing the other nominations! There was some fierce competition! So when Sarah Hardy of By The Letter Book Reviews and Shell Baker of Chelles Book Reviews called me and screamed “Congratulations” down the phone…well… I actually thought they were winding me up. I love blogging….thanks to Katherine Everett of Best Crime Books and More …because she gave me that first “hit” and the rush was amazing. A few months later she gave me the encouragement and confidence to fly solo and CrimeBookJunkie was created! And the support from authors has been absolutely amazing! Never in a million years did I think that I would be friends and even meet the authors whose books have been a wonderful and welcome escape at times from the reality of life! Some of the most talented crime writers I have come across, who deserve huge praise for the superb books they write! So I have to give a MAHOOSIVE thanks to Graham Smith, Col Bury, Mike Craven, Caroline Mitchell, my bestie Michael J Malone, Emma L Clapperton, Stephen Edger, Paul Grzegorzek, Mel Comley and so many others who shared my reviews, trusted me to read their work and really cheered me on — you have no idea how wonderful that has been! I will tag some more of the wonderful authors who have really supported my blog and who deserve a huge mention and may add more when my brain returns to normal as there are just soooo many! I just did not want to turn this into some sort of academy award winning speech…ok…too late…#MyBad! I have also been lucky enough to have made some lifelong friends through blogging: Claire Knight & Scottydog – my fabulous guest reviewers; Kate Moloney of Bibliophile Book Club, my #BBFF Sarah Hardy who won #ServicesToBloggers Award, Shell Baker and Katherine Everett (mentioned above) and Joseph Calleja of Relax and Read Reviews — collectively known as the #BlogSquad! You guys friggin rock! It has certainly been a GREAT year…I look forward to what the next 12 months brings!! This entry was posted in miscellaneous and tagged AlisonTaylorBaillie, AngieMarsons, BetsyReavley, Bookouture, DavidMccaffrey, DavidVidecette, DonnaMariaMccarthy, DouglasSkelton, HowardLinskey, JaneIsaac, LeighRussell, MarkTilbury, Mel Sherratt, MichaelWood, NickyBlack, Orenda, PaulDBrazil, TaraLyons by crimebookjunkie. Bookmark the permalink.